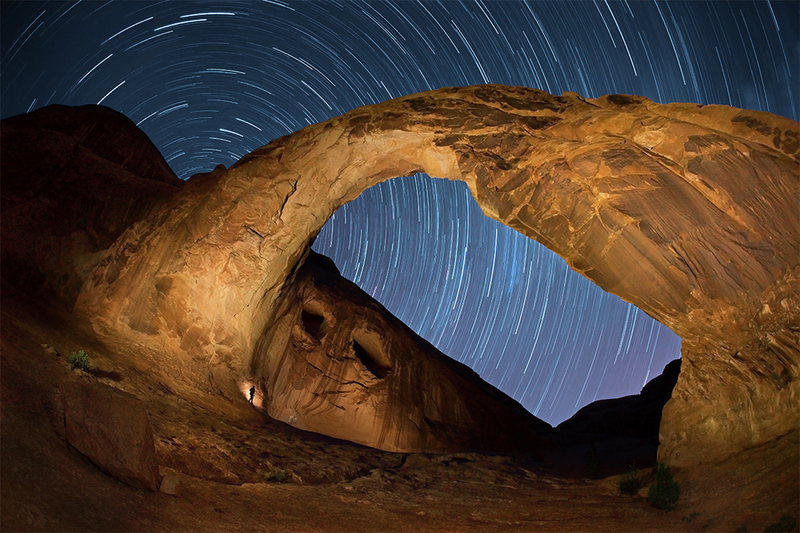 Here's another shot from my long night with this arch in Utah This place is HUGE! roughly 140 feet tall. I didn't have any intention of including myself in the photo but as I ran around light painting I saw myself in the frames as a silhouette so I decided I'd leave myself in to convey a sense of scale. I've never included myself in one of my images before...what do you think? Is it dorky, or cool?